Now that the results are in, I can show you my entry for the Rotten Harvest contest at Wyrd Miniatures. 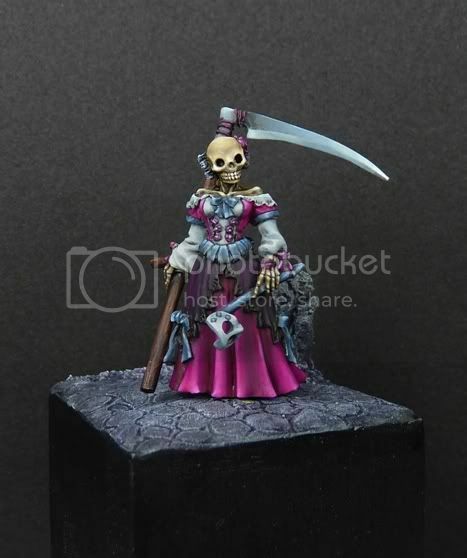 This mini was sculpted by Werner Klocke for his Freebooter range. I tried to create a big contrast in subject and paint style. So while the subject is creepy and dark, the mini is painted in bright and clean colours. The base is darker to complement the subject. I’m quite happy with how she turned out, it’s the first time I tried a translucent effect on black lace. I think it’s turned out OK.